In the beginning, I was stuck on some of these points. 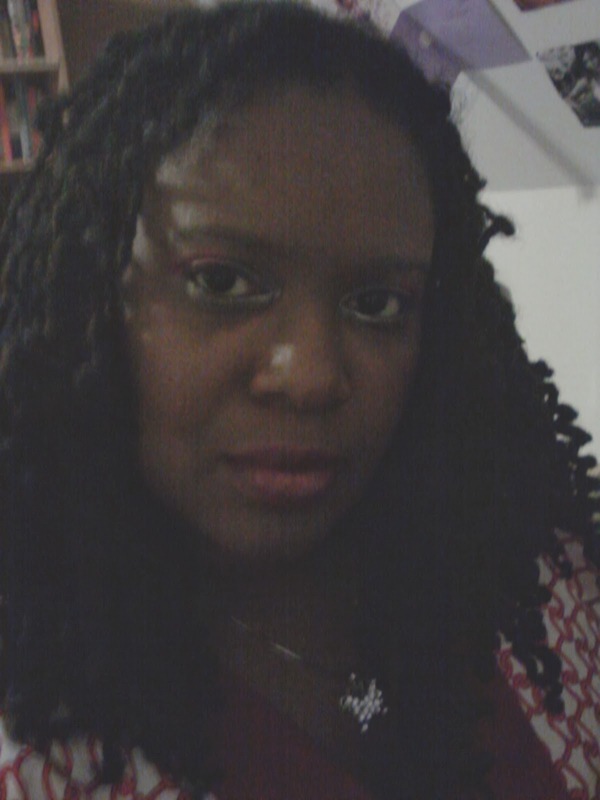 Yet, as I began to learn the different textures of my hair (I know I have two definite), I began to loosen my grip on my loc expectations. For one, there are certain parts of my head where the hair grows faster. The hair around the sides and my crown develop the most new growth, followed by the very back and then the center. There would be moments where some of my hair would need a little extra assistance. Sometimes, one didn't want to cooperate on its own (failure to loc). Other times, one loc was a bit weak and needed help from her neighbor. In those situations, a loc can end up being branched with another one. Once the loc has become healthier, there are a few ways people address the branches. Some decide to cut off one portion of the branch to reserve it for loc repair of another loc. A person may decide to get some unloc'ing gel, a squirt bottle filled with water, and pick out one of the branches and twist whatever loose hair is remaining. As for me, I've never cut my branches, but one branch I did subject to the whole unloc'ing process. Because of how long my hair had gotten, it was very time consuming. It took forty five minutes to unlock the branch, and my hair wasn't as long as it is now. This one is branched towards the end. It's one of my back locs. I find something really cool looking about my branches. One is branched towards the end, while a couple are branched in the middle or towards the top. This branches more towards the center. 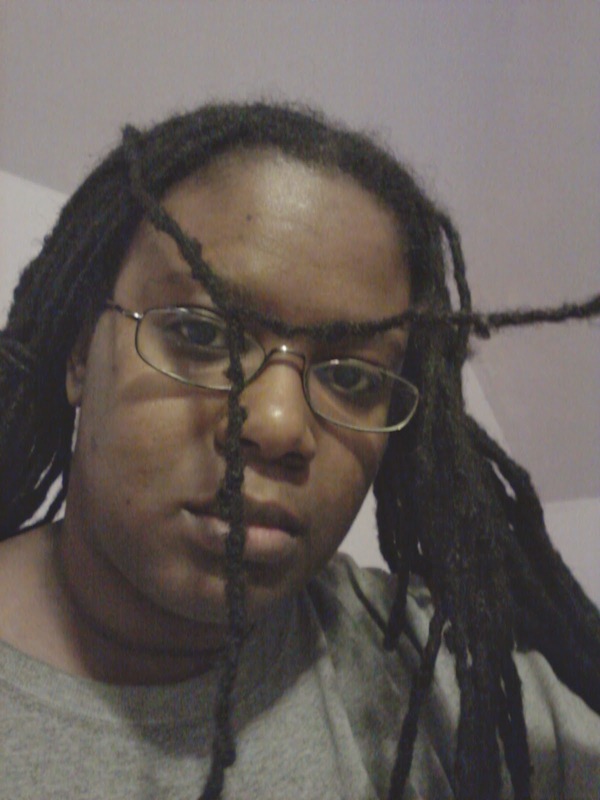 I have accepted the uniqueness that's my locs. 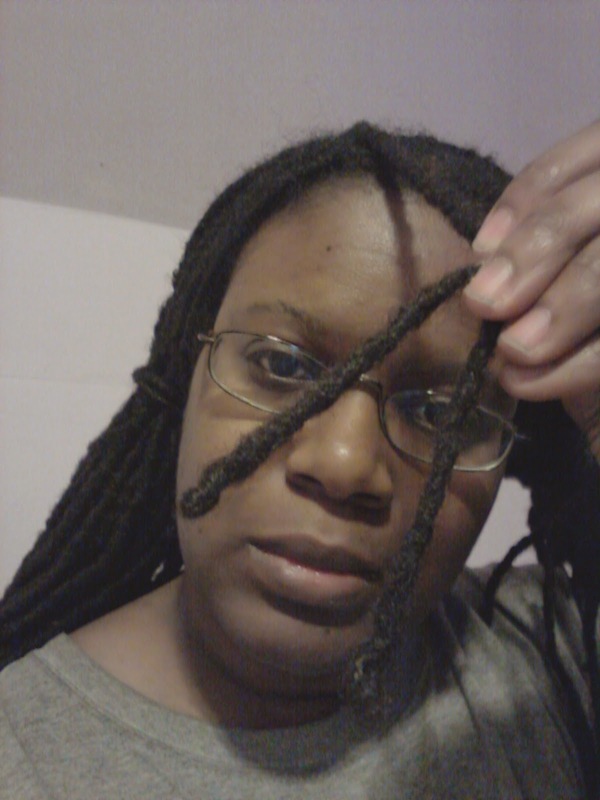 I don't mind them not being the same length: they definitely aren't now since I had them trimmed and layered. Since there isn't much variation in thickness, I don't even notice it. I'm rather cool with the branches, too. All right. I'm off to bed. Take care.